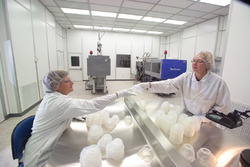 Aero Biotechniques began its journey in 2011 as Manufacturer and Supplier of exceptional range of Clean room Validation Services and Equipment. 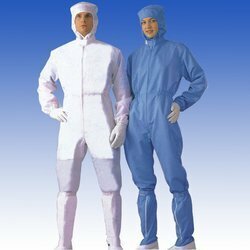 As a reputed firm, we are providing best quality Clean Room Validation Service, Clean Room Validation Equipments and Measuring Equipment. Owing to high durability, superior finishing, dimensional accuracy and longevity, these products are heavily demanded in the market. Due to these aspects, we have been able to surpass our competitors in terms of quality, innovative technology and ethical business skills. We have developed leading edge infrastructure system for fabricating our wide range of products with maximum perfection. We have implemented advanced production lines for manufacturing of these products by using modernistic machines of injection molding processes. On top of that, we have developed quality testing unit for inspection of these products under strict quality control parameters. With use of skilled designers, we design these products in various stipulations as per latest industrial standards for serving diverse needs of clients. We export in US, UK etc countries. 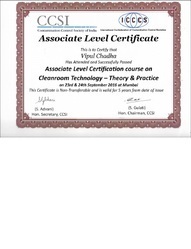 Under the adroit management of Mr. Vipul Chada, we have achieved remarkable success rate in this field. Our officers' prime goal of attaining utmost clients satisfaction by providing quality products have established us as most accomplished firm in the market. 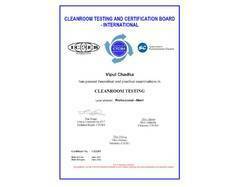 Manufacturing, Services, Trading, Importer and Exporter of Cleanroom Validation Service and Equipments. 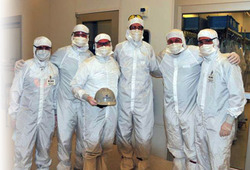 Validation of Cleanrooms as per ISO 14644 standards or user defined standards. Supply of Air Filters such as HEPA, Mini Pleat, Pre, Fine filters etc. 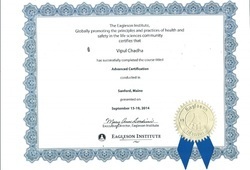 We are backed by a diligent workforce, who posses wide knowledge and experience in their respective domain. With their profound skills, we have been able to carry out smooth operations of the validation projects as per the market trend. We have been able to meet the needs and requirements of the clients due to the hard work of these professionals. 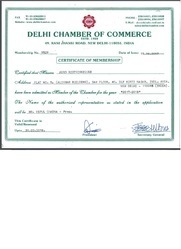 Moreover, these professionals work in close coordination with each other to accomplish the goal of the organization. We have a dedicated team of professionals which enables us to outcast range of our services offered. 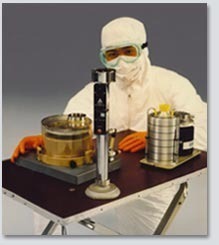 We use calibration machines for validation. We have a huge range of validation machines which allows us to accomplish large projects in less time. The variety of machines available with us also enables us to offer the client with the specific testing services. With ABT you can find the expertise and availability of latest validation machine. Special emphasis has been given by us in understanding the needs of the customers and then providing the required services.